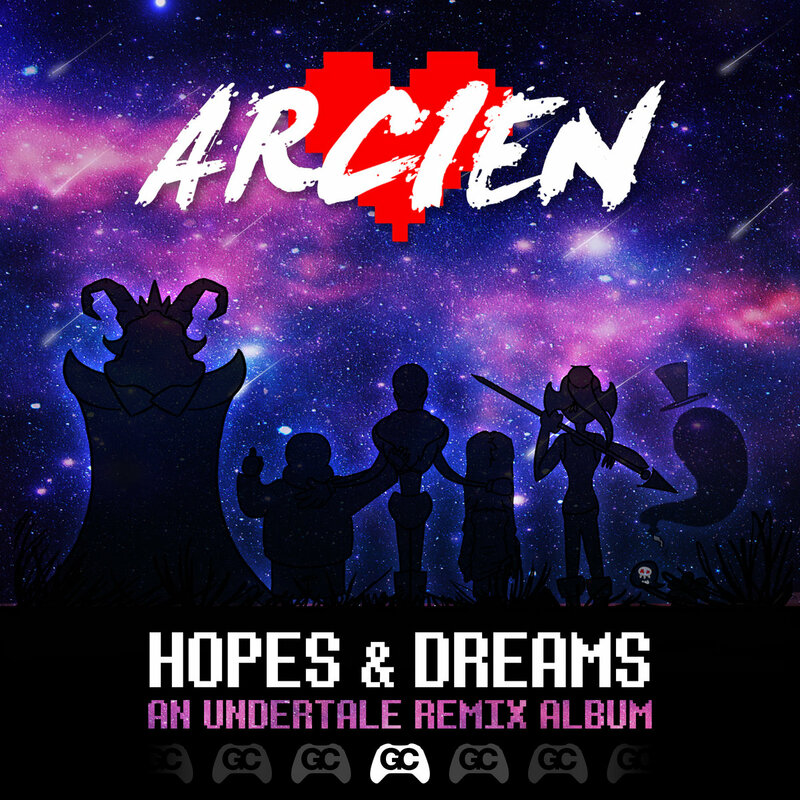 Hopes & Dreams is a remix album dedicated to Undertale by Arcien, a music producer from Denmark. It’s the second Undertale remix album we’ve released, and acts as companion to Holder’s Undertale Remixed. While Holder focused largely on character themes, Hopes & Dreams sets out to adapt the setting and story of Undertale in a musical form. From the future house intro, “Once Upon a Time,” to the 80’s synthwave “Thunder Snails,” to the dark, drum and bass boss battle “Your Best Nightmare,” Arcien hits all the major plot points of the Undertale story. Thoughtful transitions make the album a joy to listen to, front to back.